Original Air Date: March 25, 2017 In this episode of Francis Watch, Bishop Donald Sanborn, Father Anthony Cekada, and Dan Fitton discuss: -A certain Cardinal’s book, answering the Dubia – or at least Amoris Laetitia Chapter 8. -“Cardinal” Coccopalmerio’s comments on the notion of Sacraments as only either Valid or Invalid. -Beware the fundamentalist my brother and shun the fractious formenters. -Bergoglio echoes John Paul II and meets the Indians. You can’t make this stuff up! -First-Ever Anglican Liturgy comes to St. Peter’s Basilica at the Vatican. -Fatima Anniversary and Logo -Bergoglio Posters and Satire (including the SSPX response) -SSPX and Rome getting closer by the day. -Bishop Fellay – 'Cardinal Muller wants us to help him fight modernism.' -O’ Brother what art thou? Take a listen to hear a truly Catholic take on these and other absurdities issued from the ongoing shock that is a Bergoglian non-pontificate. Show Sponsor: Novus Ordo Watch https://novusordowatch.org Francis Watch’s 2014-2017 seasons, previously only available to the paid members of Restoration Radio, have been made public via the generous sponsorship of Novus Ordo Watch. You can listen to over thirty of these episodes at the link below, the first of which was recorded only months into the non-pontificate of “Call me Jorge” Bergoglio. 2014-17 soundcloud.com/franciswatch/sets | 2013 soundcloud.com/truerestoration/sets/jorge-bergoglio-francis You can learn more about the work of Bishop Sanborn at mostholytrinityseminary.org and Fr. Cekada at fathercekada.com. Original Air Date: March 25, 2017 Show Run Time: 2 hours 5 minutes Show Guest(s): Bishop Donald Sanborn, Father Anthony Cekada Show Host(s): Dan Fitton Francis Watch℗ is sponsored by Novus Ordo Watch. Copyright 2017. All Rights are Reserved. Duplication is with explicit written permission only. Download Episode 29: Coccopalmerio, Satire, and the Novus Ordo Going to the Dogs! Buy Episode 29: Coccopalmerio, Satire, and the Novus Ordo Going to the Dogs! 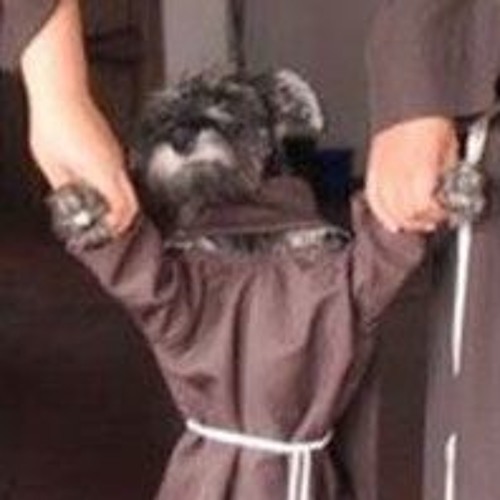 Users who like Episode 29: Coccopalmerio, Satire, and the Novus Ordo Going to the Dogs! Users who reposted Episode 29: Coccopalmerio, Satire, and the Novus Ordo Going to the Dogs! Playlists containing Episode 29: Coccopalmerio, Satire, and the Novus Ordo Going to the Dogs! More tracks like Episode 29: Coccopalmerio, Satire, and the Novus Ordo Going to the Dogs!